The complete collection is now over 2,000 pages! 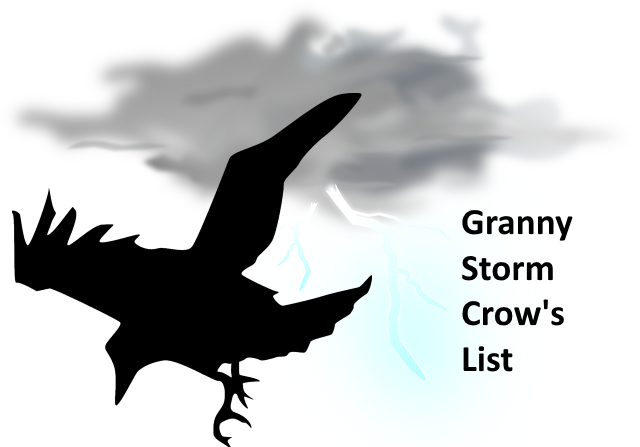 The “new” section (articles from 2010 on) by itself is over 700 pages, and we’re quite gratified that Granny Storm Crow saw fit to include a few links to Beyond Chronic in there. Nugs and hugs, GSC! Click here to download the entire thing in ZIP format. marijuana can be helpful, so I think we have to use that data to drive policymaking”. There have been several exciting studies published recently, but one that really stands out is “Effect of Marijuana Use on Outcomes in Traumatic Brain Injury”. It’s a very small study, fewer than 500 people, but the results are so dramatic that it is very hard to ignore them! Apparently even recreational use of cannabis may greatly increase the odds of surviving a brain trauma! In a nutshell- the mortality rate for non-users was 11.5%, while cannabis users had a rate of 2.4%! But it’s a small study and they need to repeat it with larger numbers! Yet, since it is a statistical study based on data that is normally collected in trauma cases, namely, drug testing and mortality rates in head trauma, it should be simple to duplicate this study to confirm it! A second important study is “Daily marijuana use is not associated with brain morphometric measures in adolescents or adults” which shows that after taking into account certain factors overlooked by previous studies (alcohol use, age, gender, etc.) there is no “brain shrinkage”. And the remarkable safety of cannabis was once again confirmed in “Comparative risk assessment of alcohol, tobacco, cannabis and other illicit drugs using the margin of exposure approach”. Of all the drugs that they compared, only cannabis was considered “low risk”. Studies are coming out at such a rate that I have created a new section for the 2000 to 2009 studies. The first section now contains only the most recent studies, those from 2010 to 2015. The “2000 to 2009” studies, the “old Pre-2000 studies”, the mini-dictionary make up the second section. Although these studies are older, there is a lot of good information here! You might triple space the mini-dictionary and print it up, so you could write in any new terms you find. The large “Endocannabinoid System 2010 – 2015” category begins the third PDF, followed by the much smaller “Endocannabinoid Genetics”. Next comes the “Phytocannabinoids” which has blossomed into a category in its own right, and finally, the “Synthetic Cannabinoids and Compounds That Affect the ECS”. Thanks for sharing and even hosting a copy of the ultimate cannabis reference.. Hugs & Nugs! the truth needs to be free so that it cann release knowledge from its bonds. Thanks to GSC & Old hippie, as well.